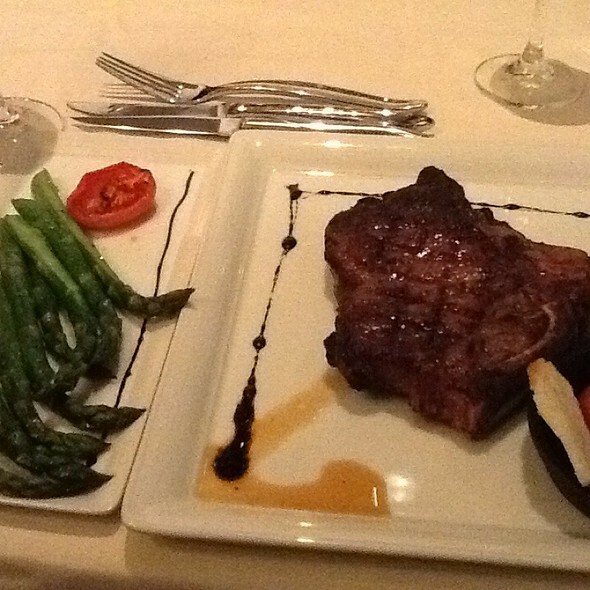 You must make reservations at least 5 minutes in advance of the time at PY Steakhouse. Hotel valet parking along with self parking. Located along the lovely and scenic Valencia Road, public transportation is located on site. In conjunction with Casino del Sol, PY Steak offers the opportunity to dine before or after world class concerts at AVA Amphitheatre and DJ's at the hotel pool. 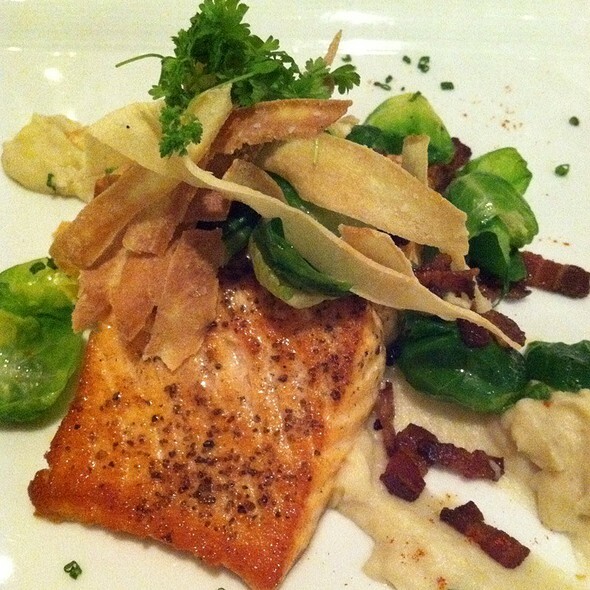 Let us customize any experience and any occasion with the world class cuisine prepared by Chef Ryan Clark. 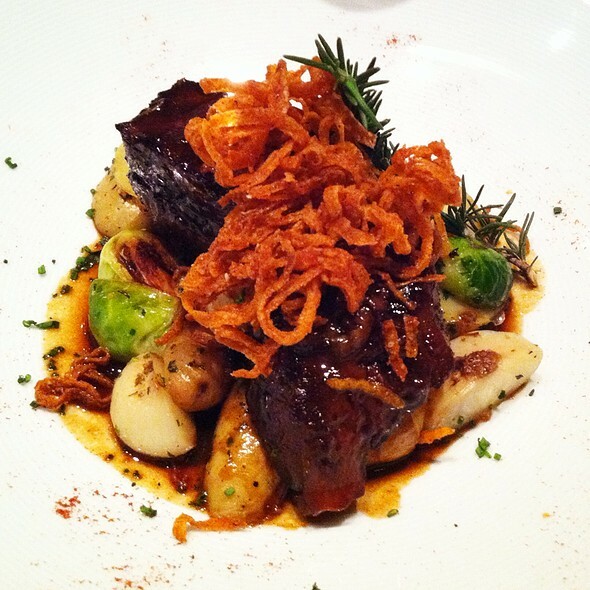 Let Chef Roderick LeDesma customize your menu to enhance your dining experience. 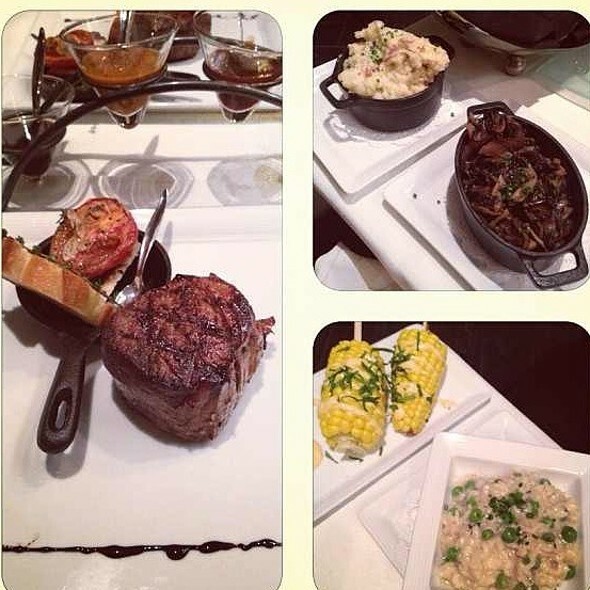 Chef Clark will create a dream event for any size group at PY Steakhouse. Located in the beautiful and historic Southern Tucson River Valley, PY Steak is a world class Forbes Four Star operation with an international wine list of over 450 selections and world class cuisine. Call Award Winning and community driven Chef Ryan Clark, to arrange your once in a lifetime experience. Meh at best. NY steak was great, but very overpriced and came with no sides, veggies and mashed potatoes were much extra. Charged me for water! Excellent from start to finish...service was gracious and on point. Food was delicious (steak tartare was some of the best we have had anywhere!). Chef was involved with not only staff but also guests which made for even better quality of everything! This restaurant was outstanding. While we have never eaten here before, we will be back. The lobster was great. Our only wish was to order medium rare next time instead of medium for the filet. Still thinking about how wonderful you homemade bread was. Thanks for a delightful dining experience. Dean and his trainee were great. I can’t think of a better place to have celebrated my 87th birthday. Horrible, horrible experience. Other patrons who were seated much later than us received their food before we received ours. An hour after ordering we confronted the staff about the wait for our food and they had little to no response. Within the hour that we waited to ultimately not receive our food, our server did not check in on us one time. Our family was looking forward to a high class dining experience at your establishment and sadly received the exact opposite. For whatever the case may be, we were not treated with the same level of respect and courtesy as other patrons in the restaurant. I was told I was going to receive a call from a manager to rectify the situation but never received such a call. Very disappointed and disheartening. Another note. If the restaurant is concerned with the possible of minority patrons not compensating the restaurant for their food, put in place a pre pay system. Racial profiling your guest is not a good business model, financially or morally. As always the service is excellent, ambience on point and the food amazing. Best wine and whiskey list in Tucson as far as I am concerned. Prices are steep, but if you're looking to impress, enjoy a romantic evening, or simply treat someone special to a special evening, then this is the place. I ordered the Halibut this visit and while everything else we had was perfect, the fish was a tad dry. We were a PY's to celebration my husbands birthday - great food and service! Everything is always excellent. Noise level allows for conversation; service is attentive without being intrusive. Bread and crostini interesting with good butters to accompany them. Deserts well made; really different and tasty, unique sorbets. Prime rib is tender and flavorful. The wedge salads were different from the norm and not overwhelming in size; sharing them is allowed, too. The oysters Rockefeller were unique in saucing and very tasty. Our server Miranda was excellent! We were celebrating our 45th anniversary and her personality and attentive service made it very special. Thank you! Babies crying , food expensive , service was good. Lower the prices & don't allow children ! We went for our anniversary dinner. We had a wonderful time. We started with the calamari, which was delicious! We enjoyed their Wed special of prime rib. You can’t beat it for the price. We had a great dessert. Our wait staff was great. Would recommend if in the area. Well priced specials on Wednesday, great service and flexible hours. The service at PY is always outstanding. Miranda was spot on with all our needs and checked with us at various intervals. I will say we were a little disappointed in the prime rib. It has been much better on our previous visits. This is still our favorite place to celebrate a special occasion--this time it was our 52nd anniversary--or just to enjoy a pleasant dining experience. We will definitely be back soon. I dine at PY at least once a month and have been doing that for years. Service is excellent. They make it personal and make me feel very welcome, part of the family. With only a couple exceptions, the food has been excellent. I usually take some of my meal with me. It is very rich and difficult, for me at least, to handle in one sitting. Which is good because I get to enjoy the meal twice. Wednesday is prime rib night and one night I will probably avoid in the future. It is very popular so the dining room is generally crowded and thus pretty noisy. I thoroughly enjoy my dining experience at PY but the chatter from surrounding tables is distracting. It's not the fault of PY. It's just other guests who do not realize they are being annoying. Our "go to" restaurant when we're celebrating a special occasion. As usual the food and presentation was wonderful. We were serviced very well and thoroughly enjoyed the atmosphere. 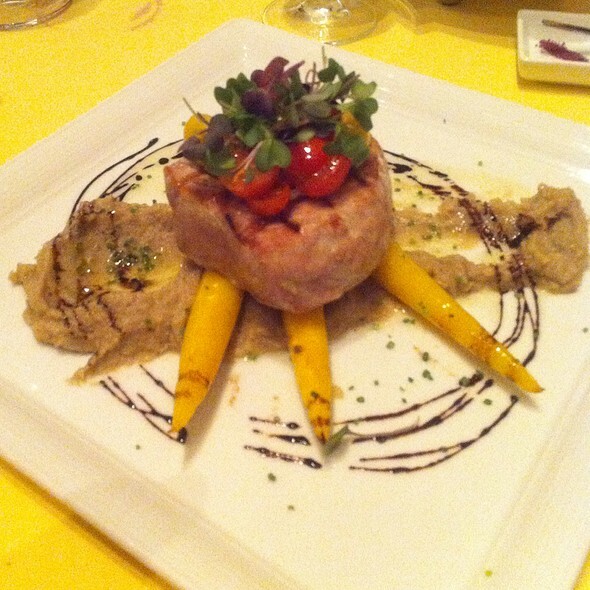 We have already recommended the Wednesday special to our friends. The food was excellent but the service was substandard. We had to make repeated requests - had to request pepper for my salad, and then it was set so fine I couldn't see it on the salad. Celebrating a birthday. Food was good. Service was pretty poor. 3 of us for dinner was a 2hour and 45 minute experience. Food was nicely paced however the drinks and attentiveness to our table was poor. After dinner and desert it was 30 minutes to close the tab. Great service Only question was was why seat a table of golfers next to a couple late at night when entire restaurant was open? Alicia was fantastic and made our experience memorable. The food was very good but too much salt on everything! Husbands scallops superb as always. Wife’s roasted squash soup had way too much pepper. 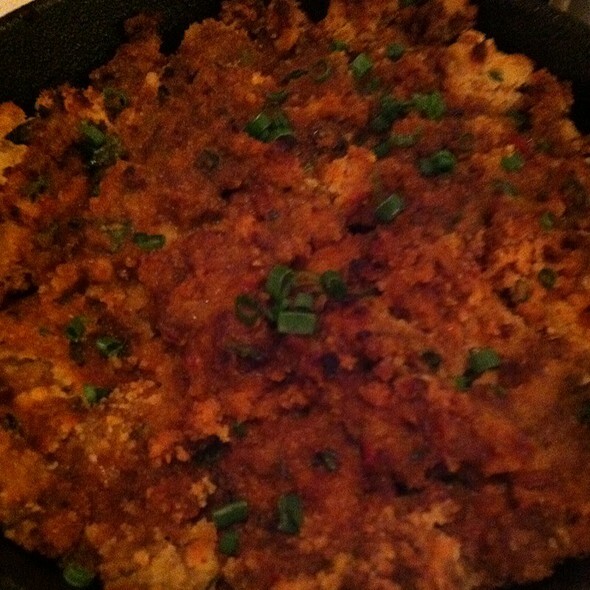 Shared scalloped potato fave only fair - too dry. Pork Tenderloin was very moist and delicious. Server was very good. Yes, we will be back. We have been to PY a number of times and this is the first time that I have been disappointed. The service was abysmal. Our server was very inattentive, though the staff person assisting her was very good. The server did not offer steak sauce, she did not refill the drinks without being asked, she did not ask if we wanted coffee with our desert, she charged us for a birthday desert (which I have never been charged for before) and there was a problem with the second desert that we ordered. The server did not even seem to notice that we had not eaten the other desert, she did not ask if there was a problem or if we even liked the deserts and she charged for the uneaten desert as well. The steak was also disappointing this time. It was a filet and it seemed very dry (even though it was cooked medium) and was not as good as it has been in the past. I may not be back for awhile and I would definitely request a different server. Was very disappointed in the experience this time. Server was excellent. Chief coming to our table for a moment was very classy. Steak wasn’t cooked correctly and had to be returned. The food overall wasn’t to its usual standard. The restaurant was very busy so that is probably why the quality of the food was not up to par. The service was excellent. I will for sure return because I’ve had great food in the past. I hope that they just had a bad night and that my next visit doesn’t disappoint again. Beautiful restaurant with wonderful service and fantastic food! Took my boyfriend for his birthday. We were greeted and seated immediately. 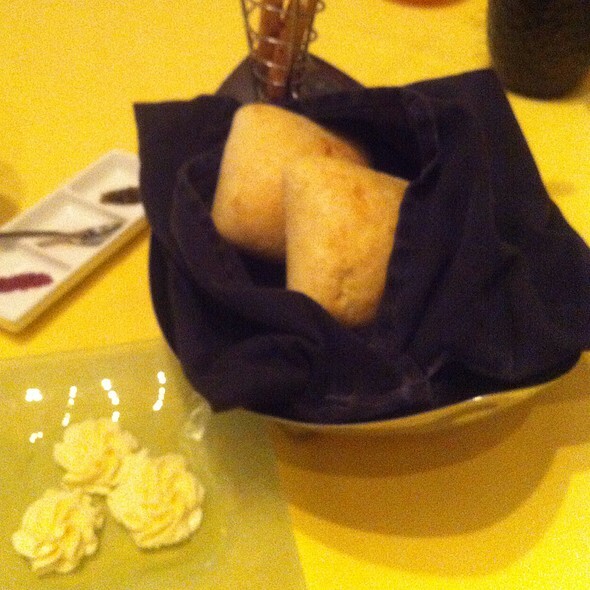 From the hostess to the servers, they were friendly, attentive and very personable. They knew we were celebrating a birthday and they always kept sight of that. Food was prepared perfectly. A wonderful experience with top class service. Thank you PY Steakhouse. We will definitely come back. Just my favorite place for great food, service with Dean , (our favorite waiter). What else could one ask for? Aaaahhhhh, nothing. I know I read all the reviews and I know that the staff has been very slow, our evening wasn't any different, I think we saw the waitress 3 x's, I needed more dressing for my wedge salad, the helper was asked but he never brought it or told our waitress, ate the salad, brought out my steak which was a 6oz filet butterflied medium, it came out well done, ordered a side of Au Jus, glad I did it was so well done and dry, but the cup it was served in was so tiny, it didn't really help, we wanted to order another glass of wine but nobody came to our table or would make eye contact when they ran by our table, so we never had a 2nd glass, finally when the meal was done and I was commenting on the dry over cooked steak I just ate, our waitress must of overhead me while she was talking care of the table next to us which had 6 people, she asked if I wanted another steak, really? a little late for that. My husband wanted to try their chocolate mouse cake but decided we had spent enough time in the restaurant, our waitress came back and told me she was given me 10% off my steak, Oh big deal, this is a casino, you comp entire meals all the time. My husband had the bone in ribeye, his steak was done right, he has the Yukon gold mashed, to me it was like eating wallpaper paste, Yuck!! I had the Asparagus, good, only 1 stalk was very woody. Not sure if we would come back, the prices were way too high compared to the food and the service. I’m a foodie, but usually not a meat/steak aficionado, though I have to admit, that the steak I had at PY Steakhouse (again) is the best I’ve ever had. Ever! Exec chef Ryan Clark is to be congratulated! Thank you. One diner had a fatty prime rib dinner. Have been to PY many times and it usually does not disappoint. This last trip was the exception. New menu changes were noted but we didn’t expect such drastic changes. 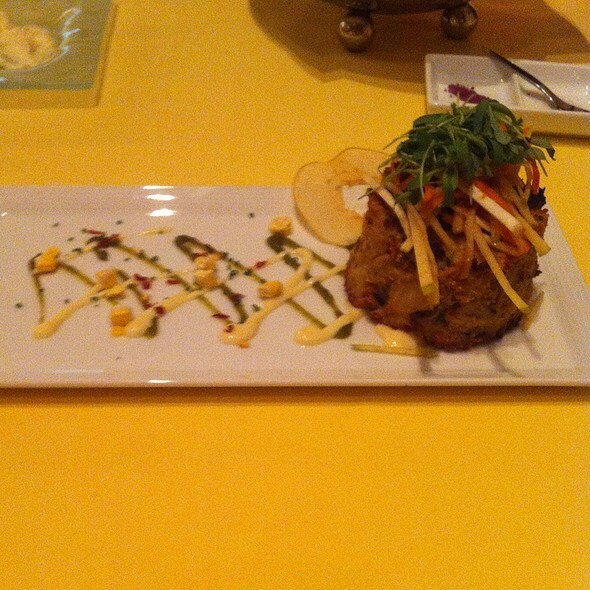 We always order the crab cake appetizer which consisted of 2 lump crab cakes with a wonderful sauce on the side if requested. This recent change to the crab cake was dramatic in that it was one crab cake swimming in a saffron and tumeric sauce which was a strange combination of flavors. 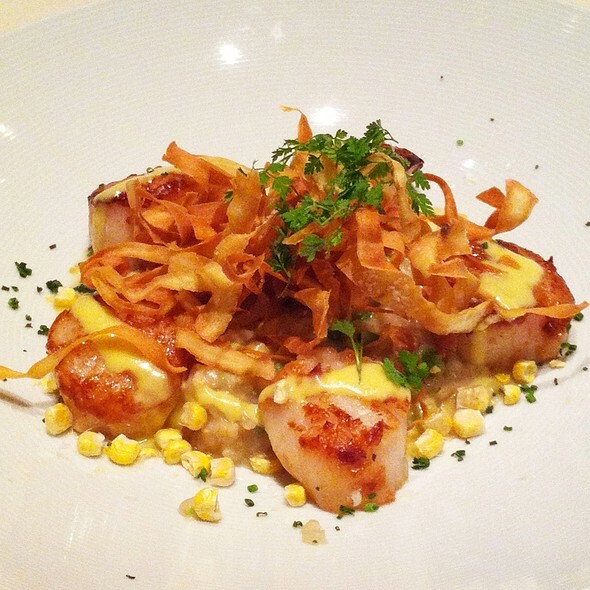 The wedge salad was greatly reduced and the risotto scallops special entree was so salty - it was almost inedible. Sad to say I will be cautious in ordering in the future - but will give it another try.